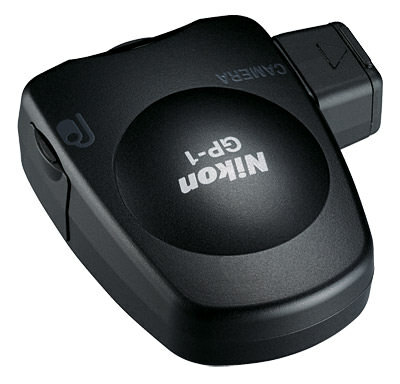 This is a quick review of the Nikon GP-1 GPS unit designed for Nikon DSLRs that have built-in support for an external GPS unit. Traveling and photography go together, so the idea of geo-tagging and mapping your photos in Lightroom, Aperture or iPhoto is appealing to many of us. The price for the ability to geo-tag using a Nikon DSLR is a bit steep when you consider new point and shoot cameras include this feature and don’t cost much more, if any, than the Nikon GP-1 GPS unit itself. So is this added feature worth the $200? * Some models may require an update to the latest version of firmware. * Supplied accessories may differ depending on country or area. The GP-1 does a good job of what it is designed to do – tagging the latitude and longitude coordinates, but the altitude is not extremely accurate. I have found that the unit is a bit slow at locking in the satellites, other reviewers have found it to be within 30 seconds to a minute, my experience has been slower. I understand the concerns of being indoors, tall buildings, etc., but I found this to be the case even outside with no buildings or tall trees nearby. The cable can get in the way of camera operation so I tend to place the GP-1 on the strap (a strap adapter is included), not the hot shoe. This may, MAY be part of the delay in satellite location lock, but I doubt it, because I tried to hold the unit in a manner that mimics the orientation of the hot shoe and I saw no difference in satellite acquisition speed. Notice that the cord comes off to the side and can be a hindrance to making setting adjustments when it is placed on the hot shoe. Take the shot without the unit working but then, why have it? I have found the cable to be weak. Repeatedly pulling it out from the GP-1 unit end to disconnect it from the camera and conserve battery life may lead to the early demise of the cable. 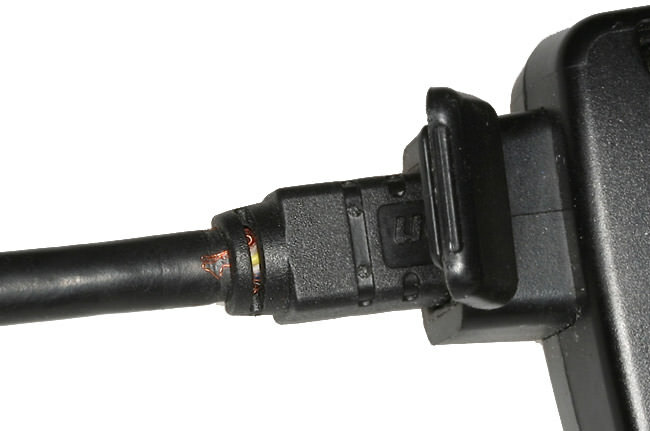 The 10–pin end of the cable that attaches to the camera screws in and does not lend itself to a “quick” disconnect and the other end fits tightly into the GPS unit. Make sure you pull from the connector itself to disconnect it, not just grab the cable and pull. I know that may sound obvious, but in a hurry it is easy to just grab the cable and pull. If you do that, the cable can separate from the connector end. Also, as I have already mentioned earlier, I sometimes had the GP-1 attached to my camera strap instead of the hot shoe and thus as I moved the strap, the cable will flex more than if left on the hot shoe. This repeated flexure also takes its toll on the cable longevity. Replacing the cable is easy but not cheap – $45 – so be careful with it! Overall, I am pleased with the unit – it does work as advertised and certainly adds another dimension to my photos. However, you need to know what to expect as far as some small to moderate annoyances before you buy the Nikon GP-1, so that there are no surprises. Is it worth the $200? You decide. Note to Nikon and other manufacturers: On a prosumer or pro model DSLR, GPS should be included as part of the camera body. Sony does it really well on their new cameras like the Sony A77, so we know that it can be accommodated inside the camera body quite easily. I was not willing to to spend this kind of money. I purchased an gps unit by Opteka for $50! It works perfectly. I’m somewhat dumbfounded that Nikon didn’t choose to put this functionality in the D4/D800. Especially the D4, with its large battery and pro-sized body — it seems like it should have been easy to implement there. You can always save the $200 and take a picture with your iPhone to get the GPS data, then append it to the DSLR pics in Lightroom. That’s what I have been doing for a heh old without any problems. Yes you won’t have the exact coordinates of where you shot every pic, but do you honestly need to? This is what I exactly did right now, I use iPhone to record the GPS and amended it in LR4 later, don’t have to spend much money. Why not just get a GPS app for the iPhone/Android that will record your tracks? Sync your camera’s clock to your phone’s clock, turn on the app then shoot away. It’s a bit of a pain as it’s not embedded, but you can upload the file from your phone then it’ll match the location times with the time recorded in the raw file and embed the GPS data. There’s free ones, then there’s ones that cost…I use a $3.99 app on my Android (also had it on my iPhone) and it works great. Me, Ridzuan and Robert – Thank you, I thought about including these ideas in the original post but ultimately decided against it so I am glad you mentioned them. Robert – My experience with the iPhone GPS app(s) is that they drained my phone battery quickly. When I go out, it is often for the entire day or close to it so I don’t want to drain the phone battery. Have you experienced this? Yes, the geotagging apps, particularly when set to frequent updates, on my iPhone did a number on the battery life. I’ve noticed that it’s far less with my Android device though. I’ve been able to set it for updates every 5 minutes, spend a full day out in the field and still have 1/2 of my battery left (Droid Razr, LTE turned off/CDMA only)….ymmv. That said, I’d still like something immediate that doesn’t involve additional steps. Keep in mind that you need to have adequate “Plastic” access on the top of the camera to place an antenna, you will note that the D4 and D800 do not have such. Metal (as well as some of the weather sealing) will always block the signal. An antenna can not be run around the inside of the body as once again, most of it is metal. Smaller plastic cameras and P/S have sufficient space to load a small antenna coil. —-Or so says NIKON. Though I agree, that more thought going in to design may fix this, but it appears it is all about the accessories, why include this fairly simple device that all telephones have, including backlit numbers, when you can charge an extra $200 for it? It seems as sophisticated as our little camera/computers are they do lack some basic communication and tactile skills. Perhaps when they decided to dump the mechanical shutter for a mirrorless design there will be sufficient “extra space” for a few up-to-date additions. I have the Solmeta Geotagger Pro instead of the comparatively primitive Nikon product. It was even a bit more expensive but it includes much more functionality: It has a compass, a horizontal and vertical level (my D7000 only has a horizontal level) and it also includes a tracker, a backlit display and a rechargeable battery. Like the Nikon unit it is connected via a cable and but it’s a smaller one and fits better. 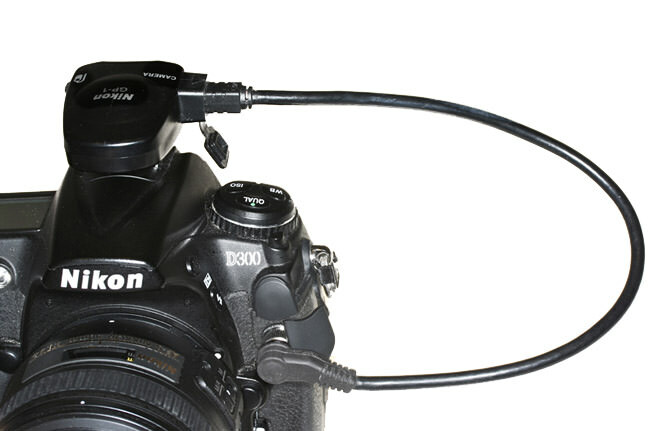 You can get different cables for different Nikon bodies – important if I upgrade sometime. Why did I buy it – instead of getting a cheap tracklogger (I don’t have a smartphone) putting the money into more glass? Because integrating GPS data directly into the EXIF data is much less work and more precise. And of course I also wanted the added functionality: I think the compass function will be the “next thing” in GPS-features in the near future as lower-end cameras will include maps & GPS routing (the Nikon P510 already has a basic map). This device already has it and also puts the compass direction directly into the EXIF data. No need to buy another unit. I also use the vertical level from time to time as my D7000 only has a horizontal level built-in. If I ugrade a newer fullframe body I’d use the one in the camera, of course, but now this will make do. The only negative aspects I do see are that the LCD is a bit too small and too crowded for my liking (but that’s only me as I already need reasing glasses) and the price maybe a little steep at first. If I compare it with the similarily expensive original battery grip for the D7000, though, I have to say that I use this GPS unit way more often and that it is more joy to use (I’m not a fan of the optional grip for several reasons). Marcus – Thank you for pointing us to another option, that as you said, a bit more expensive but appears to have some distinct advantages. The coiled cable appears to be a better cable, but may add a bit more in weight, if that is a concern. For around this price you can get a dedicated Gamin or similar GPS unit, able to navigate, do maping and routing, save notes and locations, calculate sunrise and sunset, do geocaching, drive around, find stores and gas stations, the lot. Feeding on two AA batteries, lasting some 24 hours, the size of a cigarrette pack, waterproof, just turn it on and keep it on your bag. When you get home, download the track file, and sync it to your pictures folder using freeware. And that’s it! This device is not worth the $200; this seems another example of Nikon attempting to gouge their customers. Buy a P&S with it built in. If you need to get to a level of accuracy in the sub-foot zone, no handheld is going to do that. If that is required drag along a licensed surveyor with a base station and other gizmos. If not, and all you need are ‘good enough’ coordinates, then some other handheld GPS or an iPhone is more flexible. Nice review, thank you. I was curious about this GPS unit and your review just saved me a $200. On a related note, I’m curious of your thoughts on the new NB-D12 grip for the D800/E being listed on Amazon for $600! Unless this grip adds much more than just extended battery life, I’d say it’s a clear case of extortion and/or gouging by Nikon to punish those of us who did not by the D4 with the grip already included. But I digress, I enjoyed this review and I am very thankful that you do what you do. You have fans all over the world and we are all very grateful for your services. Thank you Dave – In addition to extended battery life, it does give you the option of using regular AA batteries in addition to rechargeable. Also, a battery grip often will give a slight increase in frames per second, in this case up to 6 FPS in DX mode and using 8 AA batteries. Marcus – no doubt the WT-5A is pricey, but if the type of shooting you do warrants it, then maybe it is worth it. Similar to a GPS unit, it isn’t a necessity for most of us, but it can be nice to have. you are right – if you are a studio shooter and would profit from this (=making more money because you get your results faster) then you should probably get one. However, it still bugs me that the actual hardware for such a unit is dirt cheap to make and the software is already integrated into the camera firmware. It’s so expensive because it bears the name Nikon and there is no competition — yet. Did you say $600.00 on Amazon,, that’s way out,, the camera store I deal at in Burlington Ontario sells that grip for ( I’m quite sure ), for about $300.00.. as I say that sounds way out gouging..
Tom, great review and it confirms my thoughts that the GP-1 is overpriced and underperforming, compared to modern GPS units. My favorite is the di-GPS Pro L, which has a built-in input for a cable remote release. Solmeta’s Geotaggers have a proprietary remote included, but I like the di-GPS implementation because I can still use my Nikon cable release. Perhaps you could review them, too. Thank you Mike, I took a look at the di-GPS Pro L on the website, it appears less expensive than the Nikon, even with the shipping, and looks to be a nice unit. I assume you are happy with it and appreciate the heads up on another viable option. I agree with the battery performance issue. I picked up a used GPS-1 on Craigslist for $30 on Friday when I got my new (340 activations) D700. I used it yesterday, and found it eats the batteries pretty quickly. I’ll keep it with me, and if I need to tag something, I’ll put it on. I figured for $30 I’d use it when needed. If I get tired of the performance I can still get my money out of it. Mike – First off, congrats on the new D700 – a phenomenal camera that will serve you well. Second, good find on the GP-1 for $30, at that price you will definitely get your money’s worth. Thank you for the feedback about the battery. I bought the Opteka copy of this for $50. It works perfectly, just as you describe here. It also includes a corded remote trigger that saved me about $20 on the Nikon version. It has the same drawbacks that the Nikon GPS has however. Why they do not either integrate GPS into the camera or battery grip is beyond me. Alternately, they could provide contacts on the hotshoe to transfer the GPS data. The biggest downside for me is the cable connector location. I use the D7000 so I’m stuck with the GP1-CA90 connector. (The Opteka comes with both 10 pin and GP1-CA90 connectors but the D7000 only has a GP1-CA90). This connector flexes quite a bit at the camera end and is worrisome when placing the camera in a bag. I need to disconnect it and its a pain. The 10 pin connector location and durability would be better. The issue of power usage and aqusition time is a function of ALL GPS units and there is no way around them. Also, I bought the Nikon strap connector seperately as the Opteka unit does not come with one for about $10. This works great and is my preferred method for carying the GPS. Thank you Chris for sharing this option with everyone. i have a Garmin GPS that i leave clipped on my shirt or belt. later, i process the directory of photos using GPicSync, which looks for a correlation between the GPS .gpx file data/time and the data/time on the photos, then makes copies of the photos before adding the GPS data to the exif. great free app. did a tour around Laos with my aging D80 and was able to geotag all the photos. Does the Nikon GP-1 work on non-Nikon cameras? Would it work with Sony RX 10? This product is excellent. Worth every penny. I have had mine for years. It is hassle free, reliable, and is very accurate. I don’t understand people who slam a product just because they can’t afford it. I guess they are slamming every car they can’t afford as well. Build your own if you think you can do it cheaper. It is the cost of a small camera bag. Very reasonable. I don’t want GPS tagging on most of my photos for privacy reasons, but when doing landscapes and public events, I use this device. Just slide it into the holder on the strap, or put in right on the hot-shoe. There is even a trigger that connects to it to allow 2 devices on the one port. Just connect it and forget it is there. On SmugMug you just upload the photos and it automatically maps every photo based on the GPS coordinates recorded. A huge time saver, and time is money. I use it and I highly recommend it.